I want to share with you this fascinating article discussing a test designed “to see what happens in the brain when you look at beautiful paintings.” It has already been shown that family portraits on display in the home builds connection and gives children a sense of belonging and self confidence. Well, beautiful portraits give back even more than that as the results of this test show. "What we found is when you look at art – whether it is a landscape, a still life, an abstract or a portrait – there is strong activity in that part of the brain related to pleasure. The blood flow increased for a beautiful painting just as it increases when you look at somebody you love. It tells us art induces a feel good sensation direct to the brain.” Said Professor Semir Zeki, chair in neuroaesthetics at University College London. Imagine the effect when you look at not only a beautiful portrait, but a beautiful portrait of your loved ones! Fine portraiture brings the best kind of joy to your home and becomes a treasure for generations. Commission a beautiful portrait of someone you love or for someone you love. 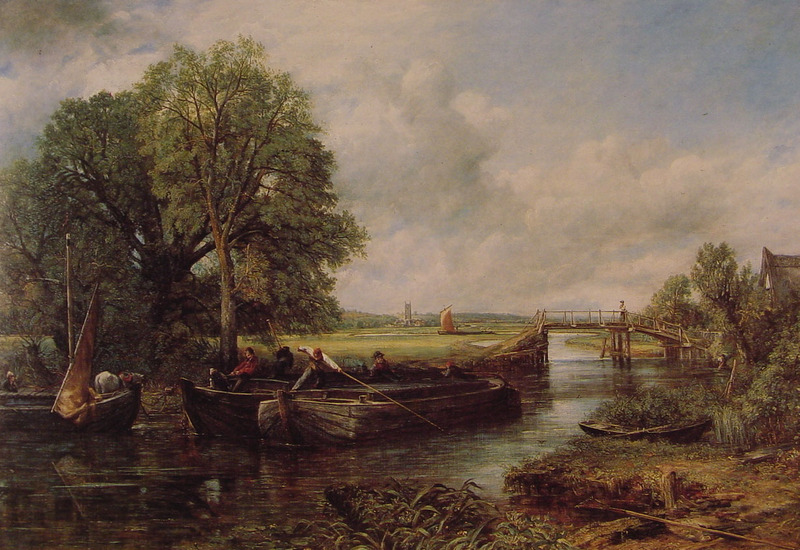 John Constable (1776–1837), View on the Stour near Dedham. 1822.